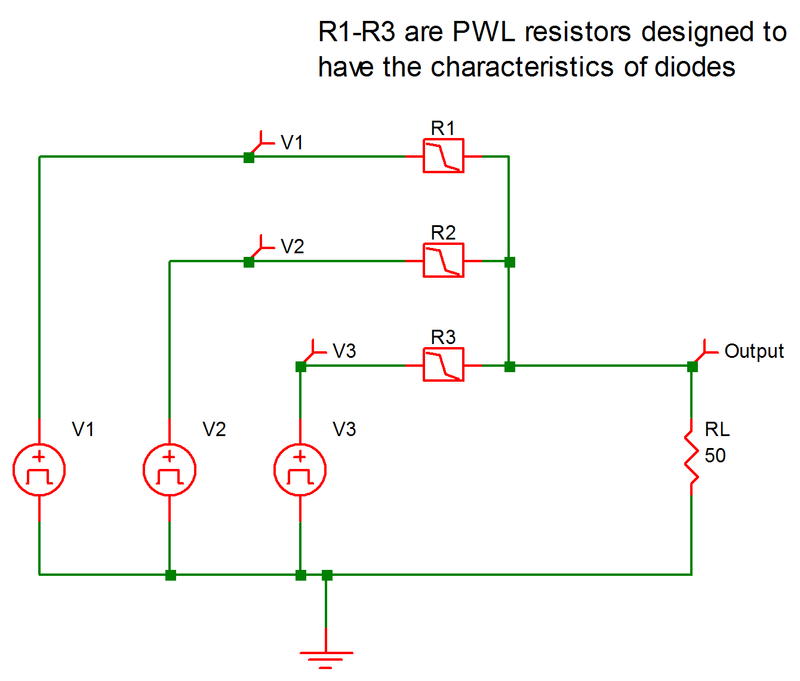 The circuit for Example 2 is a three-phase rectifier with resistive load, as shown in 9.4. It is made up of a three-phase ac voltage source in a Y-configuration which is rectified into a single load connected to the neutral line. 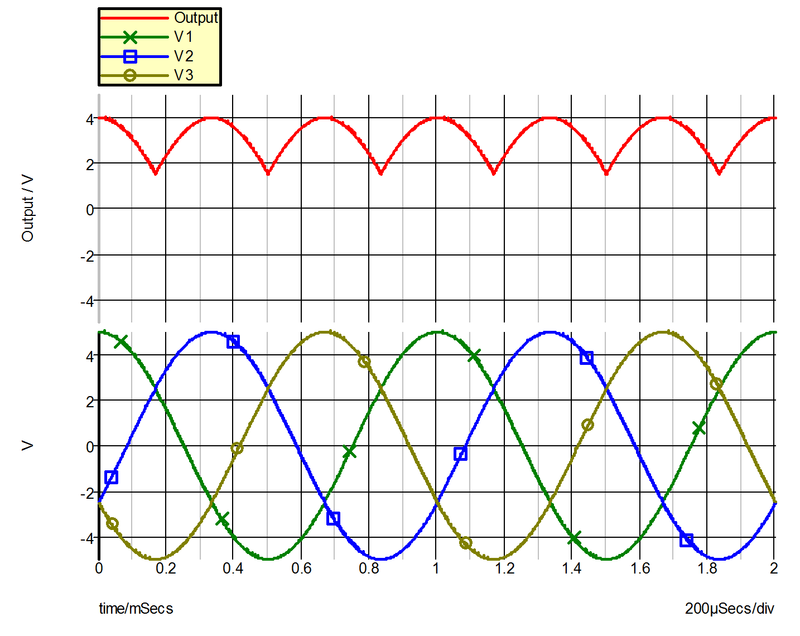 The three voltage sources are modeled as cosinusoidal voltage sources of the same frequency with delays equal to 0, 1/3, and 2/3 of the period. The variables of interest are the three line-to-neutral voltages V(1), V(2), and V(3), and the load voltage V(4). The SIMPLIS input file for the circuit of Example 2 is shown in 9.5 . Waveforms for these four variables are plotted in 9.6.